Everyone knows to get up in the morning and face swollen eyes in the mirror. Now we have THE solution! 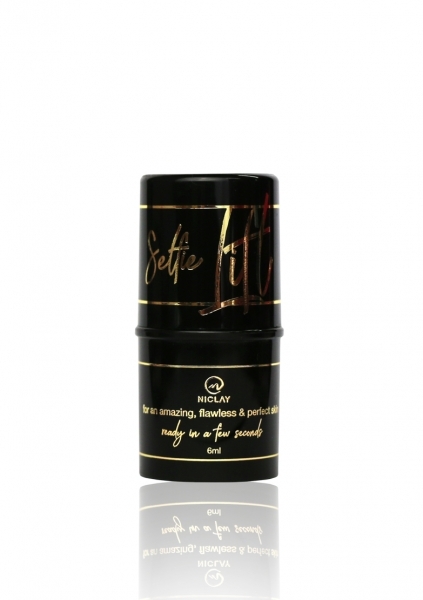 A rapid, targeted and effective facial treatment, Selfie Lift is the ideal product to keep ready in the handbag, a must-have for all woman. The cool, light and aqueous texture creates no appearance of heaviness on the facial area treated, leaving the skin smooth and even. Selfie Lift contains a tightening polymer and exerts an immediate, long-lasting lifting effect thanks to anti- ageing active ingredients like hyaluronic acid and bio-mimetic peptides. It glides over the skin like a brush on canvas, for a plump, even complexion. The ideal product for a last-minute retouch that never lets the user down and creates a perfect look every time, all in an instant!